Looking for alternatives to GL Wand? Tons of people want Corporate Performance Management (CPM) software to help with planning, custom reporting, and collaboration. What's difficult is finding out whether or not the software you choose is right for you. We have compiled a list of Corporate Performance Management (CPM) software that reviewers voted best overall compared to GL Wand. 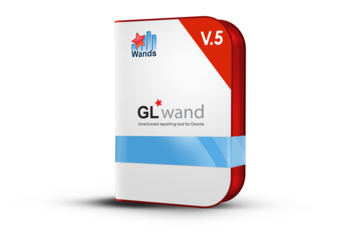 Based on reviewer data you can see how GL Wand stacks up to the competition, check reviews from current & previous users, and find the best fit for your business. "Strong EPM: Application strengths are quality user interface, intuitive navigation, strong & segmented security. The excel like interface makes it easy for non-finance users to use the application. The SaaS model minimizes internal IT support requirement. Application is highly configurable and our parent-subsidiary model, the application facilitates local empowerment while maintaining parent consolidation and reporting. " "Single-Source of Truth; Able to handle complex organizations: Adaptive serves as a single source of truth for our reporting, much better than passing around Excel books with different versions and changes and little to no audit trail. Adaptive allows you to create different versions, capture audit trail, and share reports in the web-based software or through their Excel plugin, OfficeConnect." "Prophix provides a powerful tool for financial and process management: I love the flexibility and broad scope of potential uses for the software. We use it primarily for budgeting and reporting, but plan on expanding the use to include asset management, loan tracking, and analysis of patron attendance. " "Planning the Future: I have always enjoyed the customization aspect of TM1. As it has evolved into Planning Analytics, this has only become more improved. The self-service and ad-hoc capabilities of Planning Analytics Workspace bring the data to the end user in unique and exciting ways. " "Data driven decision making for municipal waste authority: The best feature of BI360 is the ease with which technical and non-technical users alike can leverage disparate data sources from the centralized data warehouse to develop reports with key metrics to support decision-making. Very simple reports can be written to obtain key information in a matter of seconds, while the reporting capabilities can be expanded for more advanced users to conduct complex analyses. The fact that this is all done within an environment that is very familiar to all (Excel) makes it quick to learn and leverage." "Storeroom Management Made Easier: The flexibility. The fact that I can pull virtually any data from my ERP system and transform it to any format I need makes it my go-to tool for extracting data." "Hubble Review: I like how quickly hubble pulls together JDE Information. We are able to quickly create reports for our financial needs." "Detail oriented product with good people behind it. : I like that the tool allows me a broad spectrum of data to model and then map in Excel, this empowers our end users in the field on an interface most are familiar with. Another feature I find extremely helpful is the workflow structure. It allows our company the freedom to design multiple different workflow patterns to fit different necessities in departments. I also like the willingness of support staff to step in and educate users (very polite and intelligent). The associates will do their best to solve your issue, provide insight and advice on best practices, and provide you with resources for documentation." "Changed the way we approach budgeting: With all staff able to concurrently access individual project areas within idu-Concept and either review results, set budgets or make changes our 'budget setting season' is less stressful for all and reduces the time needed for the process. The ability to assign access to specific areas of the budget to specific staff means we can have staff at all levels taking accountability for their areas. Using idu-Concept has streamlined our overall budgeting process, and allows non-finance staff to access their areas, interrogate costs and understand how they are tracking against budget without having to request reports from Finance or wait for excel workbooks to be updated." "Great interface for finance work: I think Hyperion Planning is very well organized and I particularly like the fact that our company has been able to pair it with an excel add on. Pairing hyperion with excel has made our lives so much easier. " 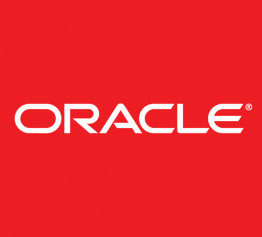 "Oracle Cloud EPM is by far the best tool on the market to support an organization's planning needs. : I like the accessibility of the cloud products. Being a long-time user, I found it cumbersome to access an on-premise instance of the product. With the cloud, all i need is internet access and a browser. I can access to product anywhere at anytime"
Business-Driven Intelligence: Unifying planning, reporting & analytics so you can manage corporate performance. "Flexible Planning that's easy to use: Report development is easy to access if you know excel. Database is made to provide a single point ot truth and to proivide drill-throughs. Multiple connectors to connect everything I wanted to get data from so far. Nice staff and support. Users can work around the globe, using web or excel. Can be installed to the cloud (identical to on-prem). Strong Rule engine very flexible. You can do any planning with quick successes (though refining reports will be a continous effort)"
"Calumo: Ability to sit over multiple databases. We are able to report daily and monthly on financial and non-financial indicators. Able to perform fast ad-hoc self service queries and generate standard reports where other users can refresh as needed. Reporting is able to be combined with excel, making results more powerful." SAP Business Planning and Consolidation helps you translate corporate goals into department metrics. "SAP BPC is a great software for financial consolidation with big companies. 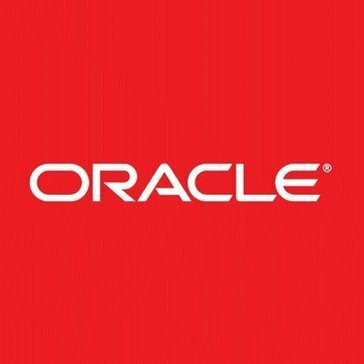 : This software is used in our company for do consolidation of all the ares of the enterprise, we do manage information and relevant data from many others sap systems and do the consolidation in BPC, the directors and financial tema are very confident and happy with the information it does give." "Anaplan Implementation: Once you get your head around it, it is a simple modelling tool that understands time and data structures. The more time spent planning it before diving in the better your end result will be. We all want to dive into new technology and I'm a firm believer of the 'play with a product to learn it' approach but on this one planning is worth the time spent ten times over." "From Zero to Budgeting Hero: Integration, collaboration, what if analysis, reporting . . . the list goes on. BM gives me the tools necessary to get the job done, fast & accurate. The integration of the tool allows me to keep in sync all budget changes with the GL. BM allows for multiple people at once to update budget figures and collaborate across the company. The built in "What If" tool creates fast accurate scenarios we can use when making critical decisions. Analytics Maestro brings the best of both worlds together by combining the reporting power of Excel and the database of information in BM. " "Solid program, not the most user-friendly: This is a great program with a lot of features, which had the power to help streamline our operations and positively impact our budget and desire to improve the planning in finance. It was easy to get up and running, and we have had generally a positive experience with customer service, which is always a plus. " Unit4 Prevero provides Accurate, Integrated Business Reporting software for superior Planning, Budgeting and Forecasting. "Prevero Unit 4 - Gives power and flexbility to finance: The power and flexibility of the system. We operate in a rapidly changing environment; where we have new data sources, new accounting structures, to deal with on an ongoing basis. Prevero allows us to adapt to this changing environment and gives us the flexibility to adapt our approach quickly, build new models and processes. The more you get to know the product the more you see its power and flexibility. The road map and product development, there are a number of features coming that have exciting potential. The Prevero team itself has been very supportive and responsive. Particularly to change requests for both bug fixes and new features. Key new feature requests have been delivered quickly. We’ve removed routine manual tasks. We can extract data and generate standard reports/packs with a click of a button. The excel add in and integration is very good and used to do adhoc analysis quickly, generate flexible reporting packs etc. and also write back data to Prevero. " Longview offers a cloud-based platform that delivers innovative corporate planning solutions in the marketplace. Longview brings budgeting, forecasting, tax reporting, analytics and the ﬁnancial close to its single platform for out of the box performance management. "Extremely Versatile Once Adequately Trained: Longview has played a major role in our company's finance team's ability to house, organize, and manage financial data. The best part about the system is the very versatile functionality of the product. My company has a very complex business structure and we are always finding issues finding data tools that fit our unique model. Longview has been able to do this while maintaining data integrity and making data input and retrieves user friendly - once you are familiar with the application. Not only can we input all our financials (revenue, expenses, payroll) into the system, but we can also break up the data by account, media type, and multiple other categories that are essential to analyzing our business accurately. Additionally, the application can be access both through a website online and through Longview for Excel. As Excel is a vital program that the Finance department uses, the ability to pull Longview information from within any Excel spreadsheet is an amazing capability that we do not take for granted." Kaufman Hall Axiom EPM provides sophisticated, flexible cloud-based performance management solutions that empower finance professionals to analyze results, model the future, and optimize organizational decision making. "Kaufman Hall: A easy to use spreadsheet style database that allows you to search numerous standard reports. Very nice product. I would recommend this to any of my colleagues." Hi there! Would you like help finding solutions similar to GL Wand?